Ola made it clear that they have not launched auto rickshaws in the UK. Ola branded e-rickshaws were only used as part of an activation campaign to celebrate the launch of Ola's services in Liverpool. One of the world's largest ride-hailing platforms, Ola on Friday announced the launch of its services in three new cities in the UK namely Liverpool, Birmingham, and Reading. The launch was done after local councils granted Ola with both Taxi and Private Hire licenses. 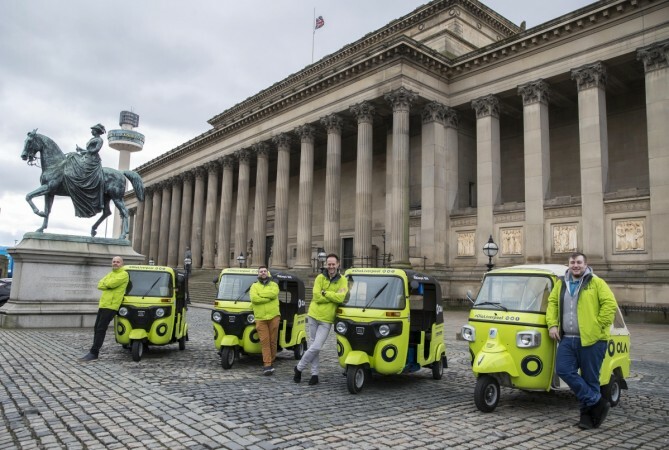 Celebrating the launch, Ola offered customers in Liverpool free rides on green tuk-tuks last week in a limited time period, as a part of the promotional campaign. The Managing Director of Ola UK Ben Legg said, "We are delighted to launch our services in Birmingham, Liverpool and Reading thus solidifying Ola's presence across 7 large metropolitans in the UK." "We are determined to work with local authorities to help communities grow and achieve enhanced transportation access, safety and mobility goals across UK cities", he added. Ola is the only app that offers black cabs and Private Hire Vehicles (PHVs), giving both driver-partners and users more choice. As part of its pledge to empower drivers on the platform, Ola offers the highest share of revenue, charging just 10% commission to black cabs and 15% to PHVs, compared with 25% charged by competitors. Following the successful launch of Ola in Cardiff in August 2018, the company was then warmly welcomed in Bristol in October 2018, followed by Bath and Exeter in November 2018. Ola's arrival in Liverpool, Birmingham, and Reading complete the launch of seven cities in the UK in just seven months, with many more planned across northern England and the Midlands in the coming months. Ola is committed to leading the industry with its approach to passenger safety in the UK including Disclosure and Barring Service (DBS) and screened drivers. Customers will also enjoy competitive pricing, as well as 24-hour safety support with Ola's in-app customer care and emergency service.